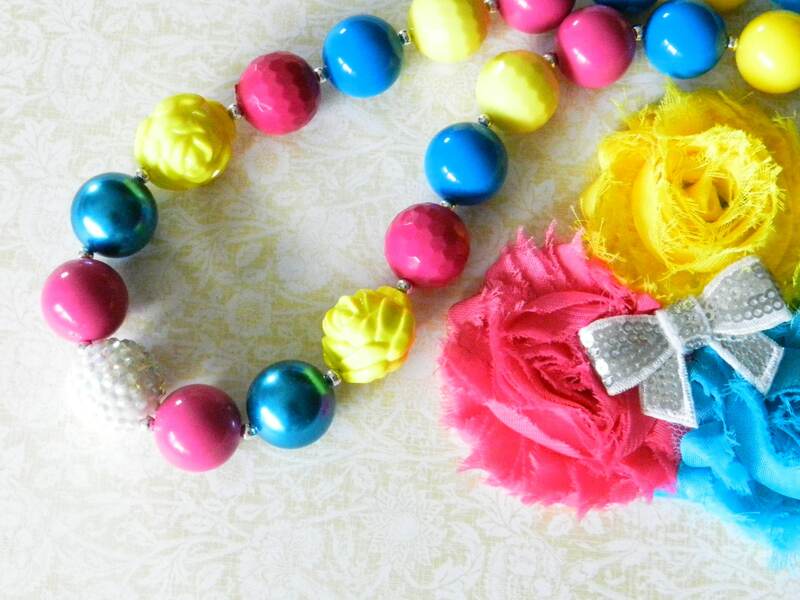 Chunky Necklace, Flower Headband, Hot Pink, Blue and Yellow. 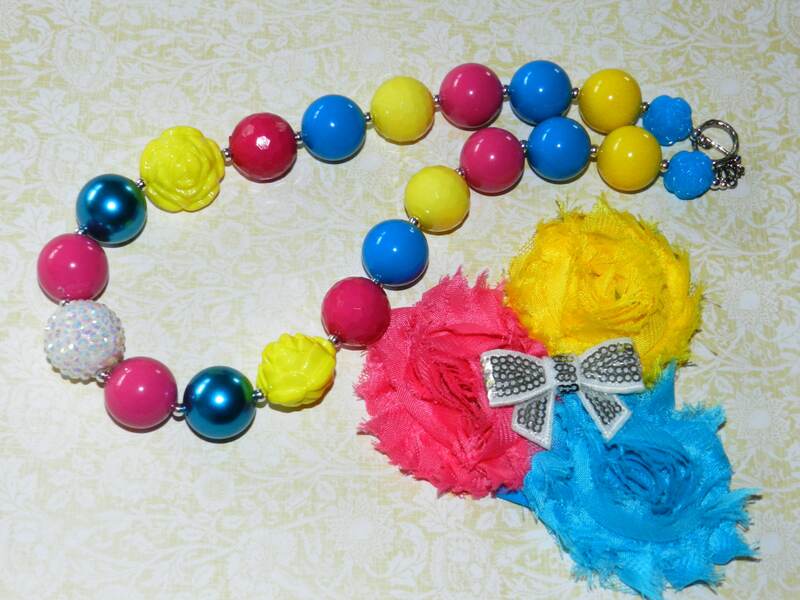 Baby Girl 1st Birthday Outfit, Photo Prop, Toddler Necklace, Birthday Necklace for Little Girls. 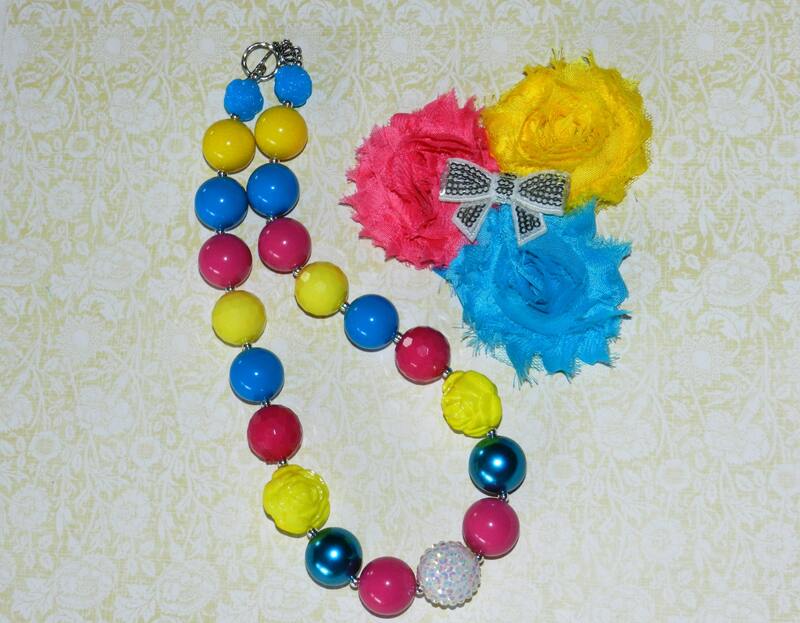 Vintage Inspired Hot Pink, Yellow and Blue Bubblegum Bead Chunky Necklace and Shabby Chic Flower Rhinestone Headband Set for Infant/Toddler/Girls. 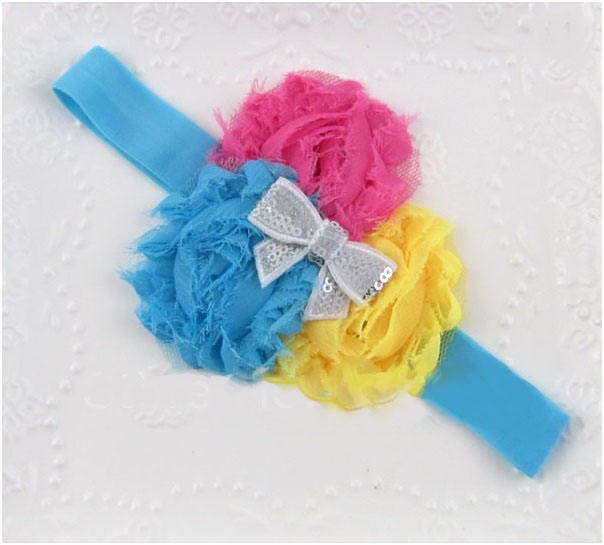 For Special Occasions, a trip, birthdays, photo prop, dress-up, baby doll and me sets, weddings or anytime! 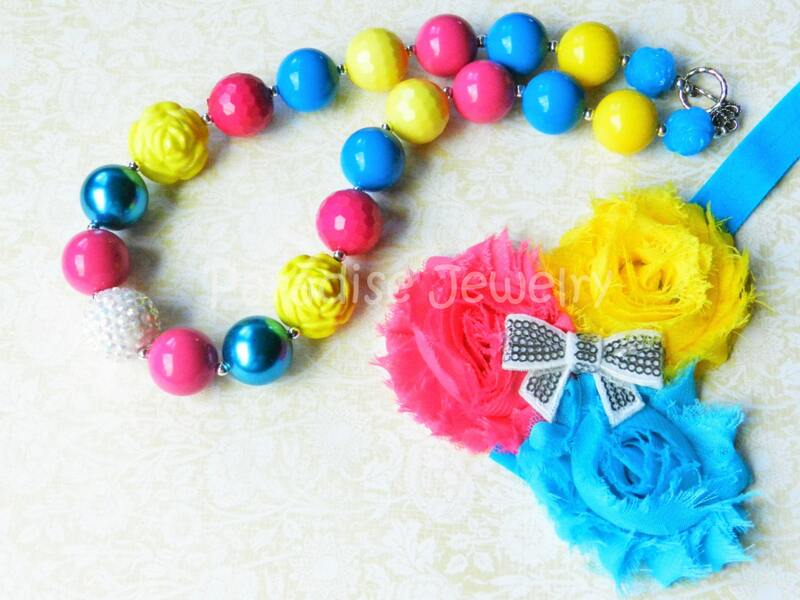 Handmade, ~RTS~ Chunky Bead Multicolored, resin, acrylic, strung with toggle. 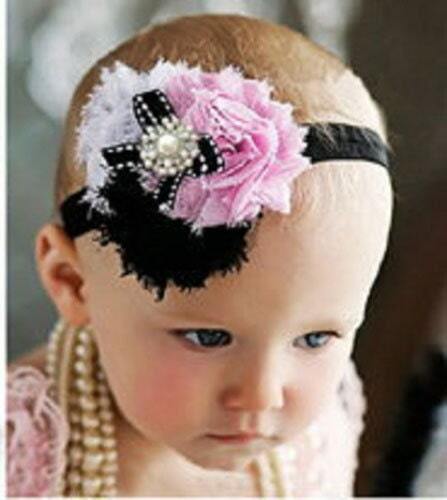 Vintage inspired shabby chic flower hair bow with rhinestone center on an elastic headband. Necklace is approx 16-18 inches long. 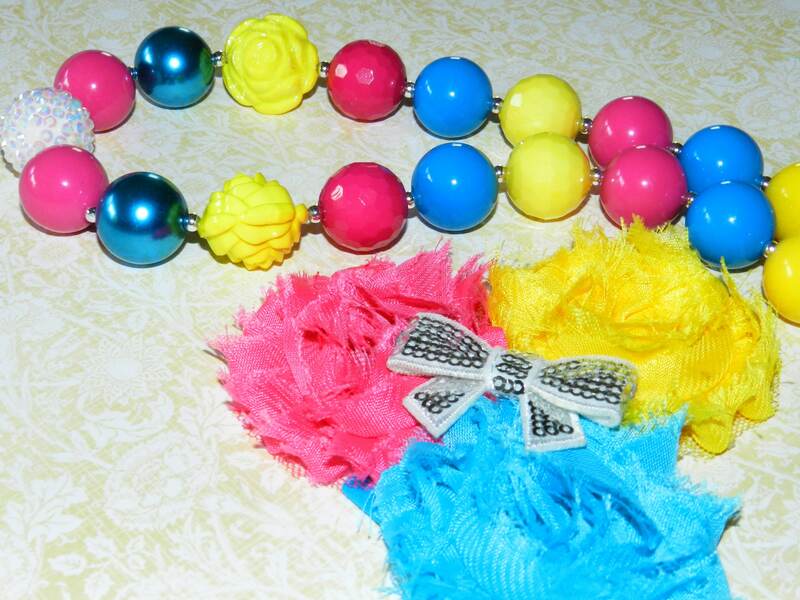 This is for the necklace and headband only. 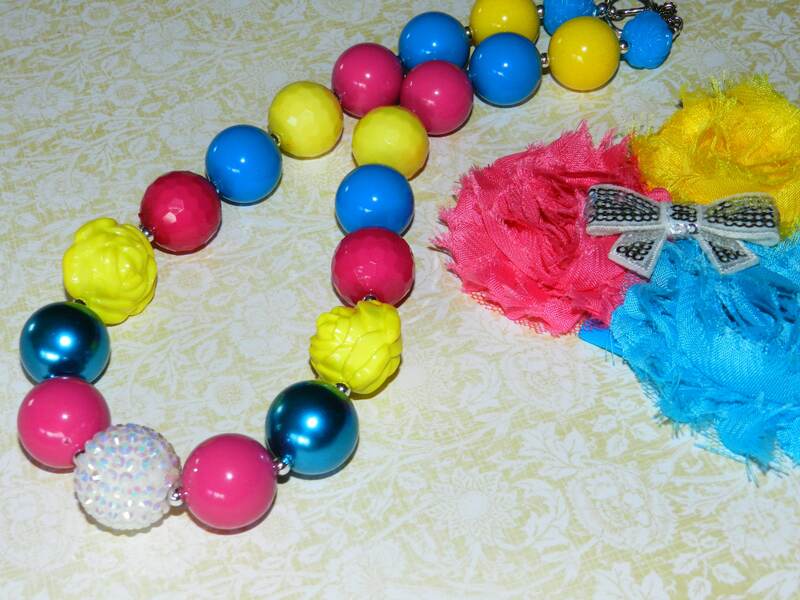 If you are interested in adding a matching bracelet for $5.00 convo me.